In my humble opinion, there have been three things keeping OLED TVs from reaching the maximum fandom they deserve in the consumer space—price, a sales pitch, and availability. For starters, OLED TVs are expensive. While it’s easy to argue that premium performance demands a premium price tag, an argument I’ve made more than once, you need the right sales pitch to convince customers to shell out the extra cash. The great thing about selling TVs, especially top-tier ones, is that they don’t require much “selling”—seeing can usually seal the deal. Don’t tell someone why a TV is better—if you have the opportunity, show them—let them see the advantages for themselves. Like a sports car, you can talk until you’re blue in the face about horsepower, but the real magic happens when the customer takes it for a test drive. Which leads me to availability—showing what a TV can do is easy when there are more than a just few models on the market. After the death of Plasma TVs, a loss I still mourn, LCD dominates the TV market. OLED is still trying to find its footing, and up until recently, LG was pretty much the only game in town. Getting in early has its pros and cons and, thankfully, LG has stayed committed to OLED technology, consistently releasing new models over the past few years, and judging from the reviews, the commitment has been paying off. Let’s take a look at what that commitment delivers when it comes to LG’s new E7P-Series OLED TVs. When reviewing new gear, I usually like to dive right into the specs and peek under the hood before discussing how a product looks. However, if you’ve seen this TV online or in-store, you likely see why I chose to make an exception and mix things up this time around. While beauty is in the eye of the beholder, I find this TV’s design to be visually striking. Is it the most captivating design I’ve ever seen? 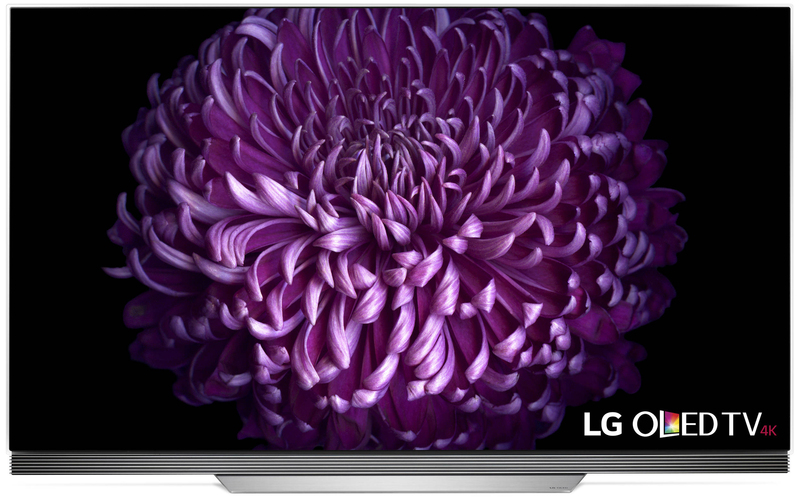 Not quite, but I really, really, like what LG did with this OLED series. LG calls this design “Picture on Glass,” and I would say that’s a pretty fitting descriptor. The OLED panel appears to float on a pane of glass, giving the TV an upscale and modern look. Of the two models, housed under the display of the 65E7 is a 4.2-channel speaker system with 60W of power and a 20W woofer. The 55E7 is a 2.2-channel system with 40W of power and a 20W woofer—impressive numbers for built-in speakers. The speaker system protrudes from the rest of the cabinet, a design choice that’s understandable considering its audio specifications and the overall thickness of the rest of the TV. Like the panel, the speaker array looks well thought out and designed, giving the TV some real curb (stand) appeal. In fact, the stand is the one design aspect of this TV that gives me a bit of concern, albeit short-lived. When placed on the included stand, which measures approximately 6.9" deep, the display wobbles a bit when touched. I know what you’re thinking—why would you touch your TV? Usually I don’t. My kids, though? Let’s just say they subscribe to a different theory. I’m still trying to teach them that everything isn’t a touchscreen. In fact, I only encountered the wobble when wiping away tiny fingerprints but, as I suspected, it was never an issue during the review period. It’s also worth noting that while it may not be immediately obvious at first glance, this TV does support VESA-compliant wall mounting, if you so choose. I’ve spent a lot of time watching OLED TVs in demo rooms and in product trainings, but this is the first time I’ve had the opportunity to have one in my own viewing environment while watching my own content. My review unit was 55 inches, which is ideal for my space. If you’ve researched OLED technology, a topic we touched on here, then you’re familiar with its advantages over other display technologies, primarily in its omission of a backlight—this is a great example of addition by subtraction. After tweaking the picture settings, using “Cinema” as a starting point, the first thing I wanted to test was this TV’s black-level performance, something at which my beloved Panasonic Plasma excels. How did the OLED TV compare? Simply put, the E7P-Series produces the deepest, inkiest black levels I’ve ever seen. With a gamma setting of 2.2, shadow detail was equally impressive. Another plus offered by OLED technology when compared to LCD TVs is off-angle viewing performance and, as suspected, image quality didn’t deteriorate much as I moved around my living room. This is a big deal for me; sitting directly in front of the TV is a luxury I don’t always have, and when I do move around, I don’t want to be greeted by a washed-out image. Thankfully, OLED doesn’t fall victim to this. While this was the first time I had an OLED TV in my home, I’ve been around the block a few times with 4K UHD resolution and HDR video. I particularly like that LG doesn’t make you pick a side when it comes to HDR. You get Dolby Vision and HDR10 support out of the box. While I didn’t have any physical HDR content on hand, YouTube delivered in the clutch. As to be expected of a TV of this caliber, integrated 802.11ac Wi-Fi and Ethernet allows you to connect to streaming apps and a wide library of movies and TV shows. You can even mirror content from your compatible smart devices. You need bandwidth and a reliable Internet connection to stream high-resolution content and, thankfully, my FiOS connection is up to the task. I fired up a few HDR-enabled demo videos and, as always, when done correctly, 4K UHD and HDR content continues to impress. Colors were rich and vibrant and fine image detail was faithfully reproduced. I don’t usually spend a great deal of time talking about a TV’s speakers, but the E7P-Series has me bending the rules these days. Cosmetics aside, the speaker system in this TV has a few things going for it in the technology department. Outside of the wattage, the speakers can reproduce high-resolution Dolby Atmos and DTS-HD audio soundtracks, thanks to a built-in decoder. These are popular audio formats commonly found alongside high-resolution video. While I’m still an advocate for external, dedicated speakers for true channel separation, I also know that’s not always a viable option, especially when real estate is at a premium. Overall, I found the TV’s virtual surround sound quality to be enjoyable. While I did experience some sound-sync issues over HDMI, LG offers incremental adjustments of A/V Sync in the TV’s sound settings to help get things on track. If you value picture quality above all else, there has never been a better time to buy an OLED TV. Prices have dropped since this technology first hit the market and, because LG has been at this a while, you don’t have to worry about first-generation bugs. I get it—no one wants to be a TV beta tester. Other manufacturers have also gotten into the game, so we may be moving toward OLED’s mainstream leap. Do yourself a favor, stop in to our retail store and experience OLED for yourself. I think you’ll see what all the hype is about and why this display technology is showing up on more and more devices. If you can't make it in, no sweat, reach out to our product experts, we're here to help. 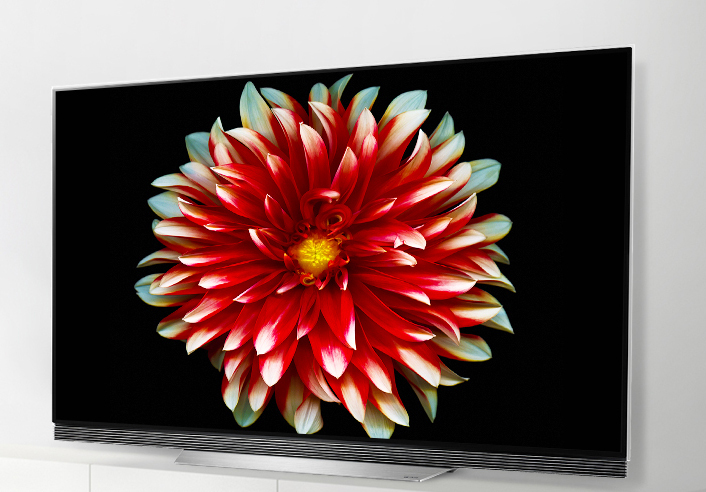 Excited about OLED TV? Sound off below, we'd love to hear about it. no mention of picture retaintion? This is the only fault with OLED in the past. Would like to know how these models fair with this. Dan: This is a great question. I cannot seem to get reliable answers regarding OLED image retention. I've read many reviews and many mention this problem (with the B7A 65"). 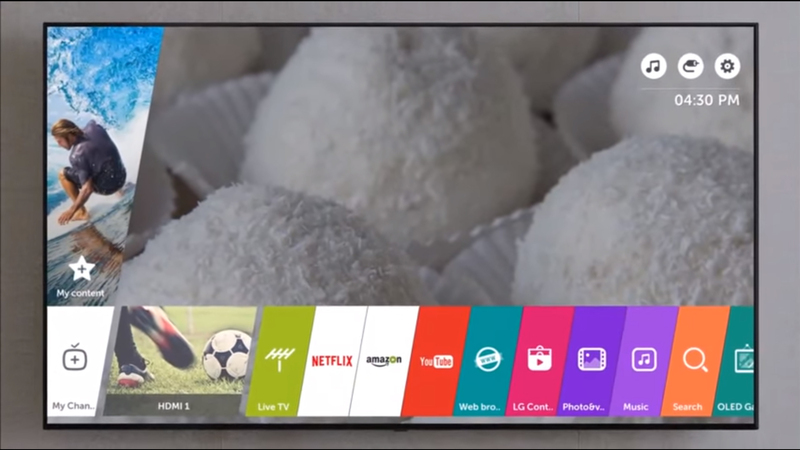 I even had a local big box salesman tell me he had 3 LG OLEDs returned out of the past 7 he has sold because of image retention (not to include burn-in which is permanentd). Yet others say it's a thing of the past, not applicable to 2017 OLEDs. I've spoken with the local LG field rep and he says any image retention is due to the fact that the demo retail models run the same tape 16 hours a day. He said any 4K set will have this problem with repeated playing like this. He said it absolutely will not happen with normal home use. I really wish this review had entertained this question and given an objective opinion because I'm on the fence between an LG OLED and a Sony XBR65X 930E. Simply put..... among the best pictures EVER! Prices are down to around $2K, so it is not even that hard of a sell, and as you say, just watch it for 5 minutes, and then try NOT to buy one! Thank you for the good article, on what appears to be a really nice TV. 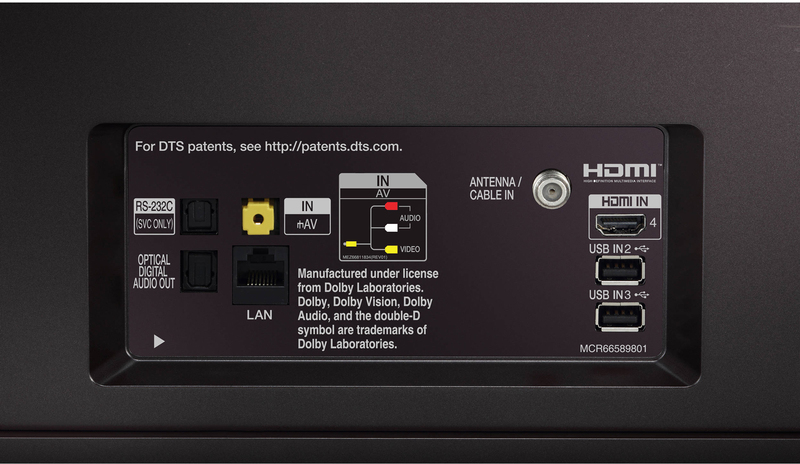 Please excuse my ignorance regarding this topic, but when would some sound-sync issues over HDMI come into play? Would these possible issues happen during regular TV viewing, or using it in certain ways, such as watching a movie through a DVR or Blue Ray recorder? How easy would it be for me, who is obviously hindered with having any expertise regarding these matters, be able to adjust the A/V Sync setting to resolve any issues that may come up in this area? I suspect I would have a cable box-DVR from the cable company, along with a Blue Ray to get the TV set up the way I want. I also believe using the HDMI plug-in on the TV brings to life the highest quality picture, maybe with sound as well, and if this is true, in that this possible situation pertains to HDMI, how much would this potentially affect my viewing experience?